Who knew cabbage could taste so good? 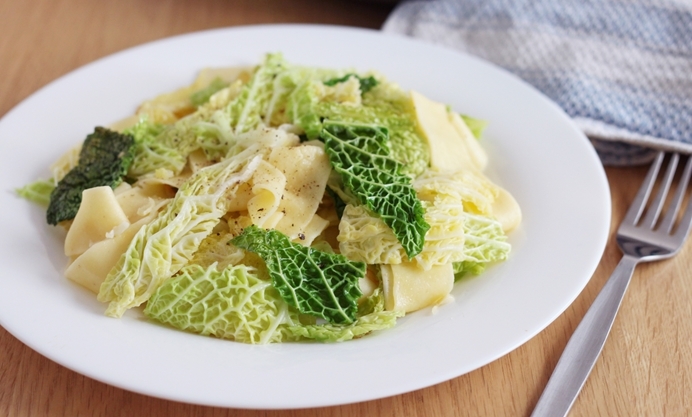 This comforting cabbage and noodle dish will make sceptics think twice. Cabbage has a bit of a bad reputation in the UK - a lot of people think of it as a watery vegetable without much flavour, which is usually boiled for far too long before serving. 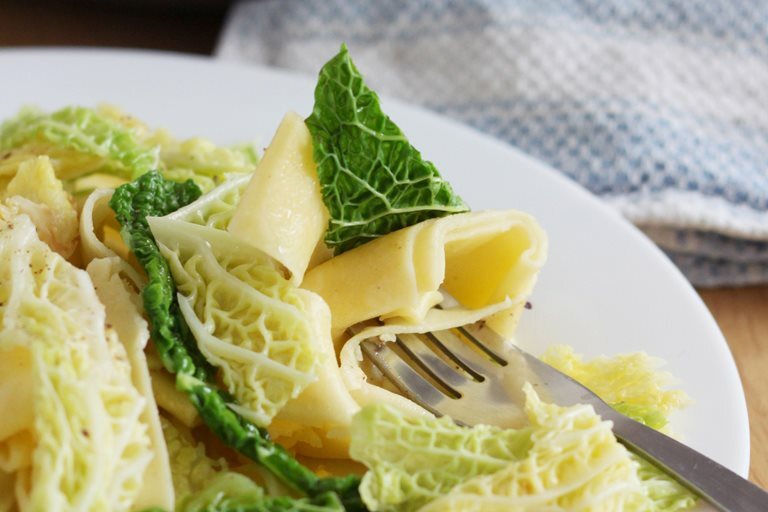 However, treat it with a bit more kindness and it can be just as tasty as any other vegetable, and it’s a favourite in a lot of other countries (think sauerkraut, stuffed cabbage rolls, kimchi…). Halusky (or, technically, halušky) is a traditional recipe from Eastern Europe that makes great use of cabbage, and will put to rest any ideas you might have about its palatability. The name halusky can be used to refer to both the entire dish and the noodles themselves. They’re traditionally homemade from a flour - or potato-based dough, but egg noodles are commonly used as a quick and easy alternative. The dish only requires a few ingredients. I didn’t want to add lots of extra ingredients just for the sake of it - traditional recipes haven’t lasted for hundreds of years because they’re missing something! So I kept it simple. First, sauté the cabbage with some garlic and plenty of butter. Season generously, and add the cooked pasta. And that’s it! It sounds very basic, but the cabbage retains so much flavour when it’s sautéed in the garlic butter - an unbelievable improvement on the boiled cabbage I’m used to! This dish is quick to make, and makes a really tasty lunch or dinner.